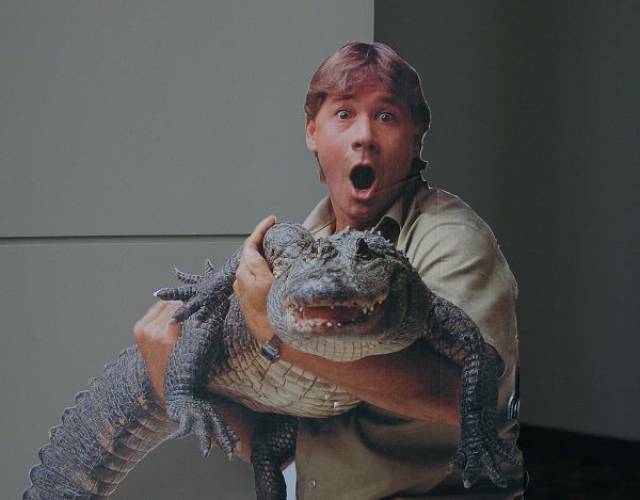 Today is Steve Irwin Day. Here are a few fun facts about the legend who left us too soon. Check out his foundation right here. 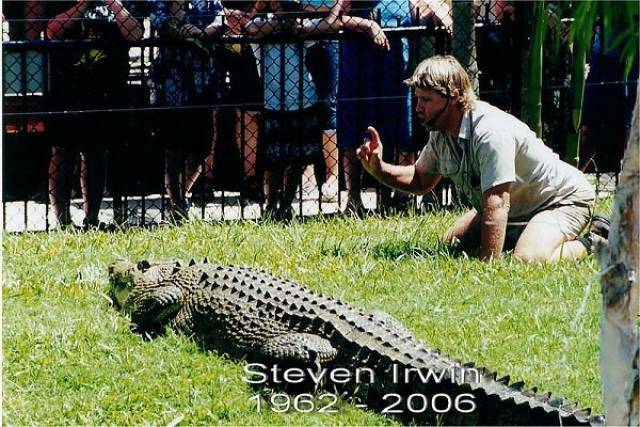 Steve was born Stephen Robert Irwin on February 22nd, 1962. He shared the same birthday as his mother. His father? Despite being a national treasure and icon of Australia, he was actually also half Irish. 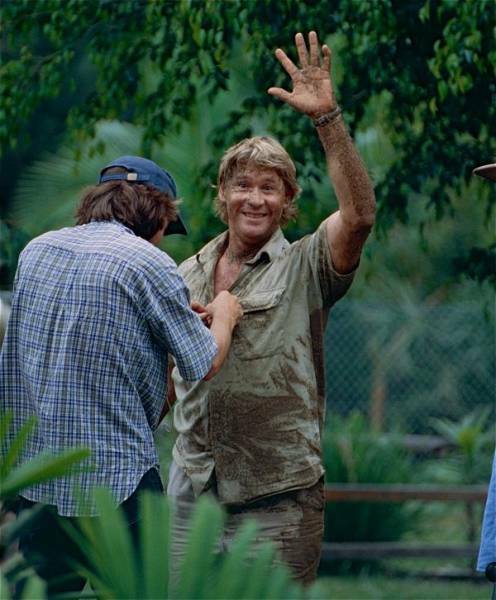 Steve was awarded the Australian Centenary Medal in 2001 for his efforts in wildlife conservation and Australian tourism. His mother worked in wildlife rehabilitation, and his father worked as a wildlife expert. 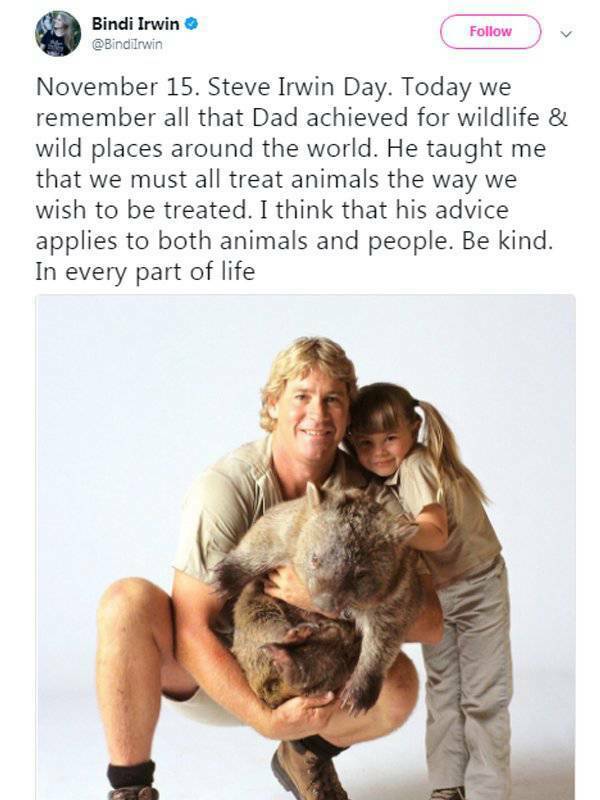 It’s no wonder he did what he did, he grew up surrounded by animals and nature his entire life! He met his wife Terri (pictured on the right) in 1991, and according to both of them, it was love at first sight. He also helped in the search efforts for two lost scuba divers in Mexico. Unfortunately, only one was found alive. 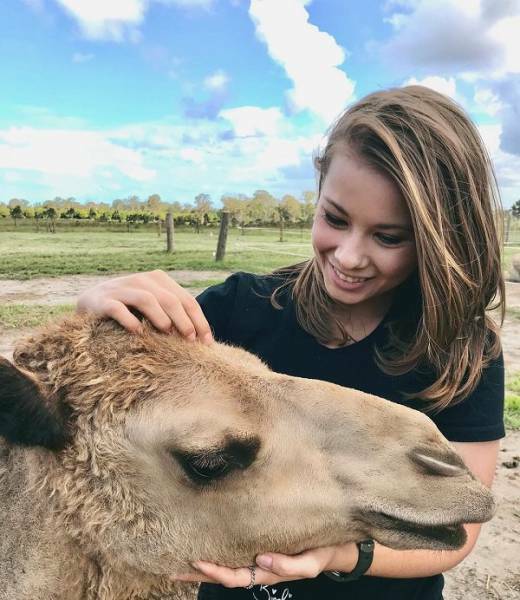 Together, he and Terri had two kids Bindi Sue Irwin and Robert Irwin. 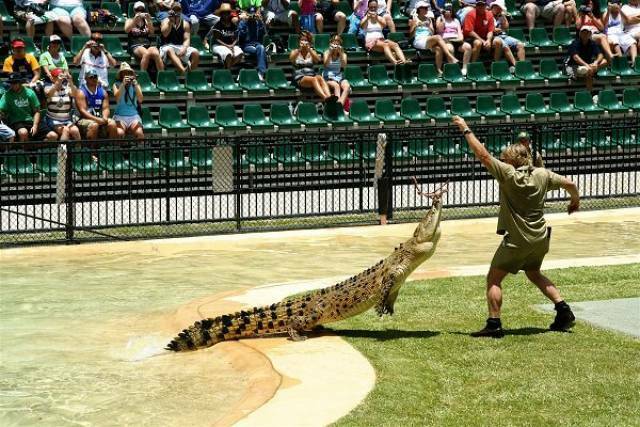 On their honeymoon, they went and trapped crocodiles together. 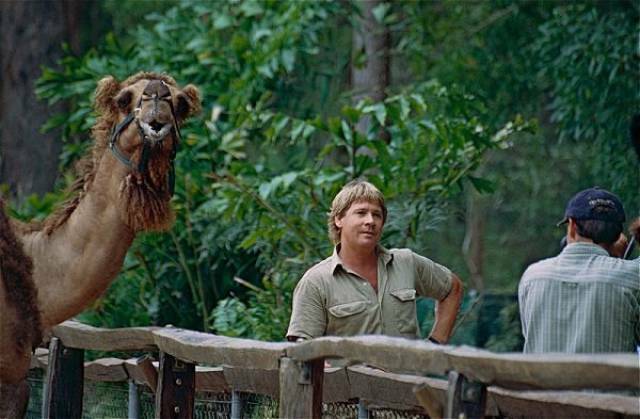 The images that they filmed during that particular trip wound up being the very first episode of “The Crocodile Hunter”. 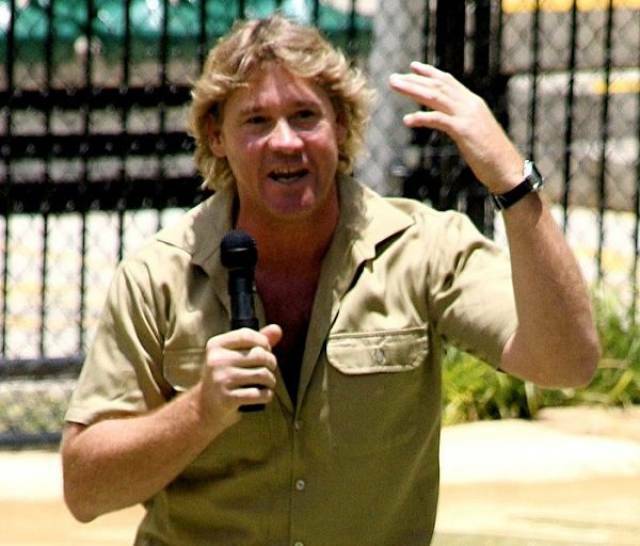 In 2009, a newly discovered species of snail was named: Crikey Steveirwini. I’m not even kidding. Bindi Sue was named after two of his favourite pets: A croc named Bindi, and a Bull Terrier named Sue. 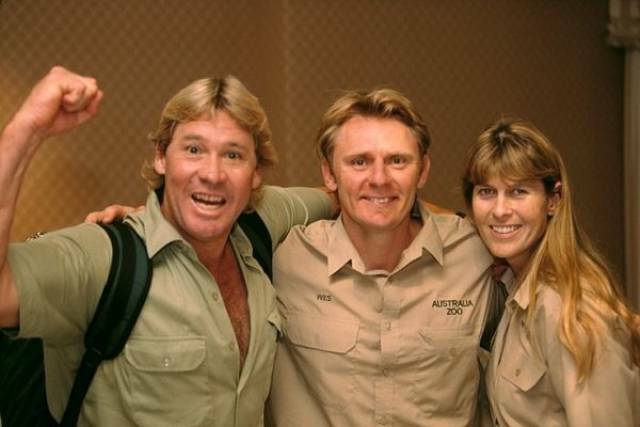 Steve was a massive fan of both Cricket and Aussie Rules Football. By the age of 6, he was given a scrub python as a birthday gift. At 9, he was handling crocodiles with his father. Despite working with things like Lions, Tigers, Snakes, Spiders, and Crocs, the biggest fear for Steve was in fact: Parrots. Steve even discovered a new species of snapping turtle. It was named after him: Elseya Irwini. 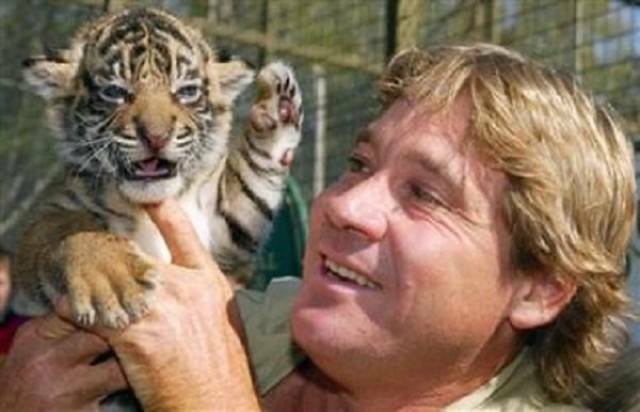 Steve passed away at the age of 44, on Septeber 4th, 2006. He was stung in the heart by a sting ray while filming a new series called “Ocean’s Deadliest”. Flags at the Sydney Harbour Bridge were lowered to half mast, and a massive amount of tributes and vigils were held in his honour all across the world. Bindi Sue left a little reminder for everyone on Twitter today, too.